Published by Southwestern Ohio Publishing Company, Springfield, Ohio, 1929-30. 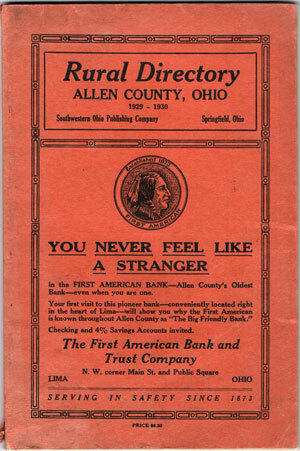 A directory of residents in rural Allen County, Ohio. Soft cover, 84 pages. Also includes numerous business ads.